Vulcans are the only species known to use this method of rendering an opponent unconscious. However, Lt. 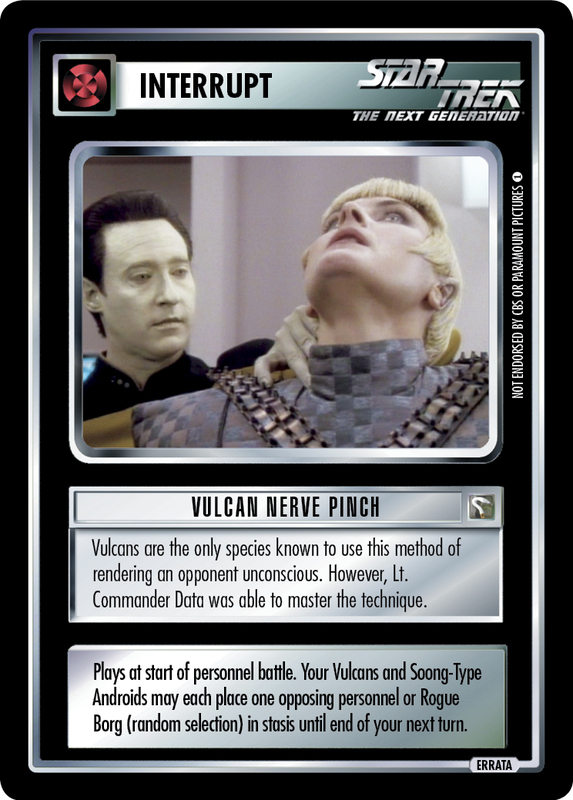 Commander Data was able to master the technique. Plays at start of personnel battle. Your Vulcans and Soong-Type Androids may each place one opposing personnel or Rogue Borg (random selection) in stasis until end of your next turn.